Or as they looked in the 60's. Just remember under Nascar rules the car from the windshield to the rear is all Nascar. Yes i know this, that's why saying iconic, is ridiculous. I agree they resemble the “icon” in decals only but that’s been NASCAR models since the 80’s. Just glad they are racing models that are supposed to be on the sporty side.. In Ford's case, they don't have any choice. It's either label the car as 'Mustang' or run an SUV. Like I said Prius and grocery getter drivers aren't going to get it. I always wonder what motivates a person who never finds anything good about anything, goes out of their way to flame when others find and and post something significant to bring to the forum. they never do that for the most part. What good are they in helping what they are complaining about. This is the first photos on the new Mustang sitting in a race shop, number 1. I bet there are a few somebodies that have their eyes on it in the future for investment purposes after it is retired. ya think? You keep on saying this, how am I flaming by saying the Badge is the only thing Iconic? How am I flaming when I say Nascar is in trouble and has made many mistakes in the last 10 years? That opinion, by the way is shared by many here, so I'd like to know how by me sharing an opinion that many agree with is flaming? I'll wait for your convoluted explanation. No...I am not going to PM with you. If you can't explain it in the open forum that's on you. Well, I obviously don't, but I acknowledge I'm not the market for this class of vehicles. And no slam here, many haven't been following the history of the Mustang as it has been involved continually in racing since 1965. To some it is just a blue car with Mustang on it. To others it carries on the tradition. Bringing it into the Nascar series is a good move. They have been racing it in the continental tire series for years. I'm not sure what you think I'm spinning. I agree with you regarding the 'iconicness' of this stock car, remember? I'm not sure, you seem to agree with Standonit more than I do for sure, maybe I'm wrong, but you seem to be more forgiving of Nascar's direction than I am. Why can't we confine such argumentative drivel to the Deathbed thread, or better yet, to the Podium? There is no reason to pollute every thread with the same old rants. How about we have a podium version of NASCAR chat so we can really say what we think. No politics, just Nascar? I can agree with a poster on one issue and disagree with him or her on another. I don't take this place seriously and take very few comments personally. I don't actually know anyone here; why let their opinions get to me? I get that, makes a lot of sense, but I guess I'm just a little more passionate about it than you and happen to detest people who put their heads in the sand and apologize for just about everything NASCAR does. Not directed at you by the way. the joy of browsing through the comments. Some days I come here read a bit of the garbage and ask myself why come here? Like other forums I have visited, I guess I will just quit and look for another where people actually like the sport and get to enjoy their posts. Charlie Spencer, LewTheShoe and StandOnIt like this. gnomesayin, LewTheShoe and StandOnIt like this. good deal, I was reading along about Mclaughlin. He had an 11 point lead going in to the final race, and he put it on the pole and finished it off. 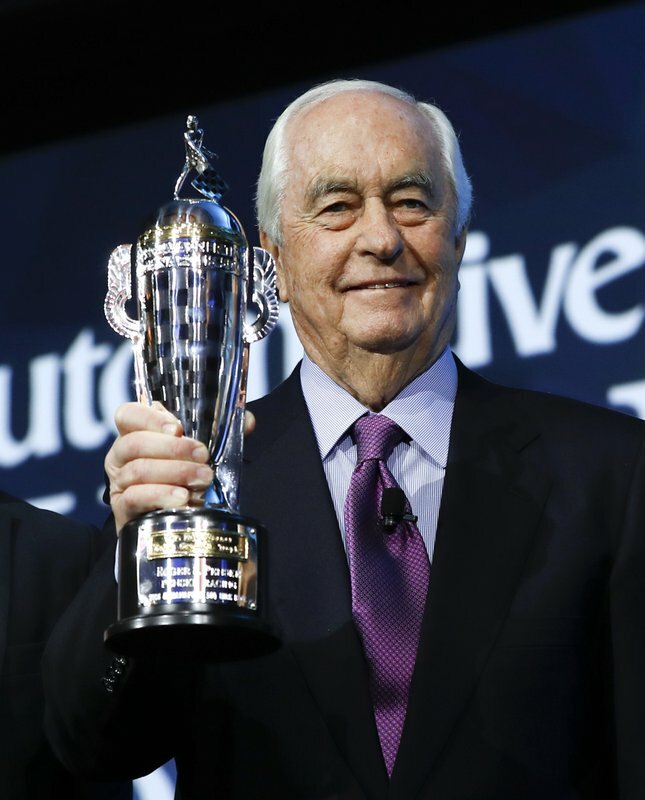 Cool Penske wins the Supercar title. ^ Mainly, I'm just glad Triple 8 didn't win it after blatantly violating the rules that prohibit team orders to manipulate race outcomes. He wants to do an Xfinity road race and I think Roger told him to win the title first. Well, mission accomplished. He loved doing that demo run in Logano’s car at Gold Coast not too long ago. Kiante, Fordracing7 and Ventisca like this. Take a look at the tail lights of the yellow 22 car. They are not mustang and I believe that is a 2018 car all dressed up. Nose is different, tails are the same. Posted the trailer to this seasons Penske Games in the random thread and not sure if any Penske fans are aware of them but they actually raced some cars on this episode.